Most Mass. agencies report no hate crimes, but is it accurate? Boston police recorded 120 hate crimes in 2016, but many localities and agencies recorded none. Unprovoked as he waited in line in a Fall River hospital last year, a man began making threats to a woman who stood behind him. “I wish more white cops would kill you,’’ he screamed, infusing his verbal assault with a racial slur and raising his hands in a threatening manner. The episode, at Charlton Memorial Hospital in February 2016, was detailed in a Fall River Police Department report. But it was not included in the recently released Massachusetts Hate Crimes report for last year. Fall River, population about 88,000, was one of 267 Massachusetts municipalities or agencies that recorded zero biased-related crimes last year, raising questions from civil rights leaders about whether law enforcement agencies are adequately investigating, documenting, and recording such incidents. Sixty police departments, including those at some colleges, chose not to participate in the hate crimes reporting process, the report said. “There’s got to be more than . . . that string of zeros,’’ said Oren Sellstrom, litigation director for the Lawyers’ Committee for Civil Rights and Economic Justice. Most hate crimes — also referred to as bias incidents — involve intimidation and destruction of property; often, they don’t produce arrests. Hate crimes are difficult to prove, investigate, and prosecute. Violators face extra punishment if convicted, up to $10,000 in fines and 10 years in prison, according to state law. The FBI tracks hate crimes via the National Incident-Based Reporting System and the FBI’s Uniform Crime Reporting system, both of which use crime data voluntarily provided by police departments, including campus police. In Massachusetts, the Executive Office of Public Safety and Security reviews the data in both systems and ensures they are in accordance with FBI standards. But because reporting hate crimes is not mandatory, many law enforcement agencies do not take the extra step to properly report certain violent acts as hate crimes, said Kevin Borgeson, a Salem State University associate professor of criminal justice who specializes in hate crimes. FBI data show that hate crimes rose 4.6 percent nationally — from 5,850 in 2015 to 6,121 in 2016. Of the 15,254 participating agencies in the FBI program last year, only 1,776 reported one or more hate crimes, said Brian Levin, director of the Center for the Study of Hate and Extremism at California State University San Bernardino. Compared to other states, Massachusetts is a model in recording hate crimes, Levin stressed. He highlighted the Boston Police Department’s first-in-the-nation civil rights unit, established in 1978 amid violent clashes triggered by court-ordered school desegregation. The unit is staffed by high-ranking officials and has a solid rapport with communities of color. Last year, Boston police recorded about 120 hate crimes, more than any other municipality in the state. But even model states like Massachusetts, Levin added, are experiencing major lapses in how efficiently hate crimes and bias-related incidents are documented. He and others urge more training and a designated civil rights officer to address these gaps. In Massachusetts, about 350 agencies — municipal and campus police departments, hospitals, and the Massachusetts Bay Transportation Authority — indicated they were participating in the FBI’s hate crimes data collection program, said Levin, who tracks the data closely. The most recent state report says 70 police departments, 11 campus police agencies, one hospital, and the MBTA reported 391 hate crimes in 2016. The 267 Massachusetts agencies that recorded zero hate crimes include Brookline, population about 59,000, and Brockton, population 95,000. “I just don’t believe those numbers,’’ said state Representative Michelle DuBois of Brockton. “Either the police departments are trying to not report those things or the police officers . . . are not completely trained’’ on those matters, said DuBois, who also represents East Bridgewater and West Bridgewater. Both towns also reported zero hate crimes last year. Sergeant Mike McLaughlin of the East Bridgewater Police Department said his town’s hate crimes numbers are accurate. In Fall River, Detective John Robinson, the Police Department’s spokesman, said officers “go above and beyond when it comes to investigating and documenting” hate crimes. In last year’s hospital incident, he said, officers not only responded to the scene, they followed up by talking to the woman and the suspect. The woman did not want to pursue the case, the officers said. It is unclear if charges were filed. “To investigate a report like this with ‘no named victim’ . . . goes a long way in showing that the Fall River Police Department is properly reporting hate/civil rights crimes,’’ Robinson said in an e-mail. He said he believes that without the victim’s participation and no violence, the federal reporting systems did not “interpret and report” the incident as a hate crime. But state officials said they do not evaluate or edit reports police departments submit. They said Fall River has not reported a hate crime to the state since Aug. 31, 2014, an incident that involved a robbery and anti-black sentiments. Brookline police said they recorded three hate crimes in the federal systems last year, but none showed up in the 2016 state report. A second incident, in May, involved a black woman who reported that a white man had used a racial slur and spit in her face as she cut through his gas station site — allegations denied by the man. A third incident, in November, involved a black parking control officer who said a white woman walking her dog began screaming at her as she sat in her car and told “her she could take her to the park and murder her,’’ the police report said. Massachusetts public safety officials said all three Brookline incidents fit the definition of a hate crime. 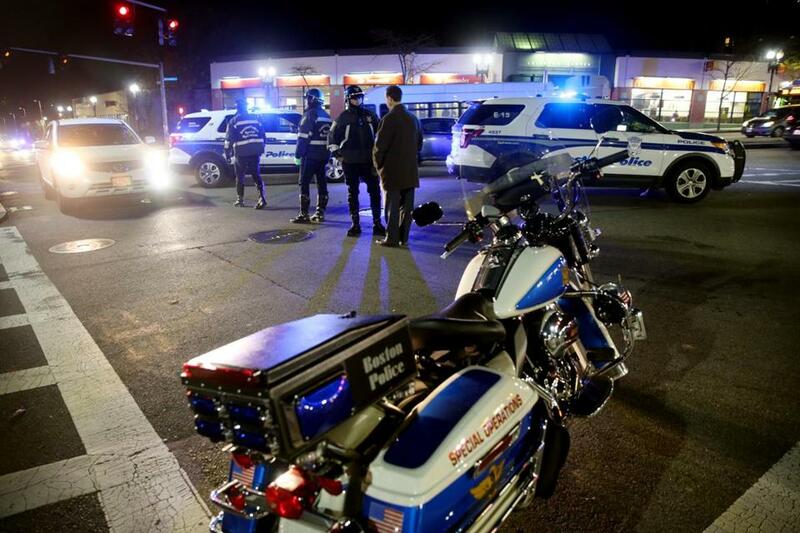 The officials, after searching their system in response to a Globe inquiry, said they were able to find only one of the Brookline incidents in their system, and it was not documented as a hate crime. Officials said the last hate crime report they had from Brookline was in 2014. Levin said that improper coding, mishandling of information, and data that get lost in the system contribute to hate crimes being underreported. Other factors include a lack of police training, inadequate police resources, and dwindling faith in the system among people who feel they were victims of a hate crime. Borgeson said some agencies shy away from recording hate crimes because it might make their municipalities look bad. State officials surmised the discrepancy in Brookline might stem from a training issue. They said that while officers might accurately be coding hate-crime charges on their incident reports, they might be improperly filling out the “bias-motivation” fields. Those fields automatically flag the state system. “This is a national problem that is certainly being manifested here in Massachusetts, where we see a complete lack of reporting from some jurisdictions,” he said. While hate crime reports have increased nationally, state data show such reports declined to 391 last year, from 411 in 2015. The top-reported incidents were based on crimes against African-Americans, followed by crimes motivated by someone’s religion or sexual orientation, the data show. Juan Cofield, president of the NAACP’s New England Area Conference, said the low numbers are inconsistent with the numerous calls that come through the civil rights organization.